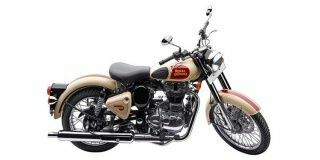 Royal Enfield Offers 2 Classic models in India. 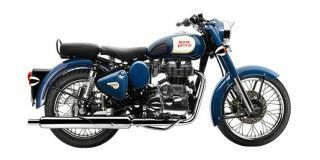 Royal Enfield Classic 350 is the lowest priced model at Rs. 1.35 lakh (Ex-Showroom) and Royal Enfield Classic 500 is the highest priced model at Rs. 1.70 lakh (Ex-Showroom). The Classic gave a new lease of life to Royal Enfield after the market began to swamp with modern alternatives. The retro-modern combination of design and engineering made it an instant hit in the market. The Classic is available with a carburetted 350cc engine and a fuel injected 500cc engine. The former churns out 28 Nm of torque while the latter produces a massive 41.3Nm of torque. 54 years to the day the original Bullet rolled out from Redditch, Royal Enfield now has an all-new single cylinder motorcycle. Adil Jal Darukhanawala needed to not just have his eyes checked but also got a reality dose after an extensive test aboard this latest big bore machine. Q. Does it have vibrations? Thats why its called a generator by many...lots of vibration from the moment u start the engine..once u cross 80..u cant see anything in mirror.. however handling and braking is good. Q. Does diffrent colour have different rate? Classic 350 gunmetal grey have higher price then other colours. Otherwise all colours of classic 350 have same price. Top 5 Motorcycle News Of The Week: New Royal Enfields Spied, RE Trials Launched, XPulse 200 Spotted & More!